We have a really brilliant charity shop near to work and occasionally I pop in to see what’s going. 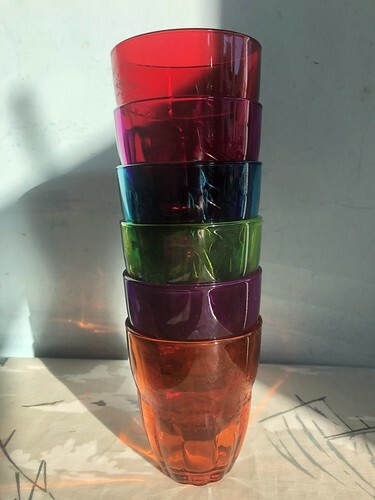 Today I managed to pick up these lovely rainbow glasses which make me smile. Nice and bright and cheerful. Let’s see how long they last for before being shattered!